When it comes to outside dining, there’s nothing quite as clever as an outdoor kitchen. If you have the space, and you live in the South — where the sun shines most days — an outside kitchen is worth the investment. “Almost without exception, every custom home or remodel we work on today, the owner or builder either includes or plans for a future outdoor kitchen; at a minimum, [he plans for] a nice outdoor living space,” says Mike Davis, President of Capital Distributing. Think about how you will use your space. Do you want a grill and a sink? You need ample space between the two, if so. Break up outside kitchen into wet and dry zones — wet zone is for a sink, bar, refrigerator, and freezer; and a dry zone is for your hot appliances such as your grill, smoker, and pizza oven. In addition, you’ll need outlets for your appliances and cabinets for storing dishes, and utensils. Think about the materials. All of your appliances need to be weather-and-insect proof. Some materials to consider using in your outdoor space for cabinetry are stainless steel (like you see in many restaurant-grade kitchens), marine grade polymer, teak wood and stone. Though my personal favorite is stainless steel, in the heat of the summer opening metal cabinets can make food-prep unbearable. When it comes to countertops, though pricey, granite is easy to clean and extremely durable. Concrete and tile is another option, but these materials are likely to crack over time. When it comes to furniture, be sure to consider what kind of dining you’ll be doing. Will chaises, chairs and side tables suffice? Or do you need a full dining set? Regardless, choose durable long-lasting pieces made from steel, wrought iron, teak, or all-weather wicker. The heavier the furniture, the better — the last thing you need is furniture flying across your yard during a storm. 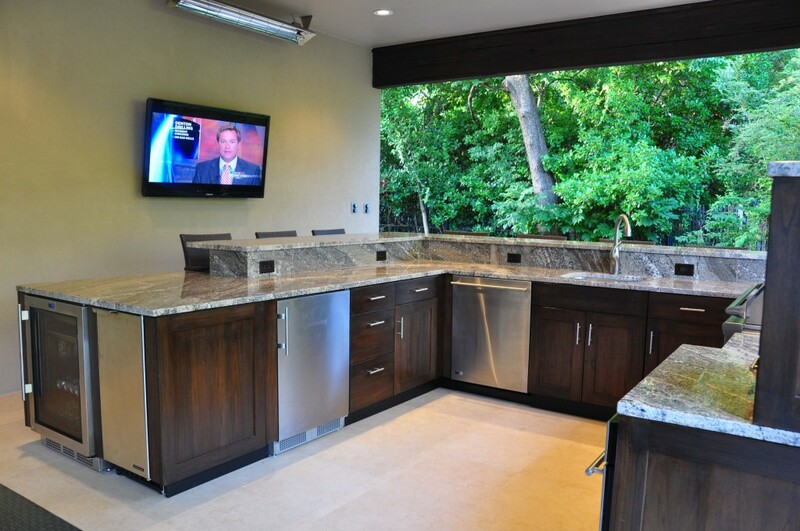 Bottom line, when it comes to designing your dream outdoor kitchen there are a lot of important elements to consider. Be sure to speak to your architect and someone like Davis who is an expert in kitchen appliances. When it’s beautiful outside, you’ll be spending so much time in the sun that you’d be remiss if you didn’t have everything you could dream of for your kitchen. Rachael Abrams is a personal chef and freelance writer who is obsessed with home decor and practically mainlines Pinterest. 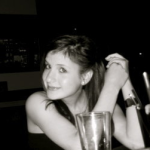 Find out more about Rachael and her excellent taste by following her on Twitter. Friday Four Hundred: The Absolute Perfect Tudor is on Monticello. See For Yourself!